Rod Kedward brings to life the great, and often terrible, dramas of modern France - the two cataclysmic wars, the Algerian disaster, the student and worker revolt of 1968 - but also explores the special worlds of the workplace, immigration, minorities, the role of women, and the politics of everyday life and collective memory. 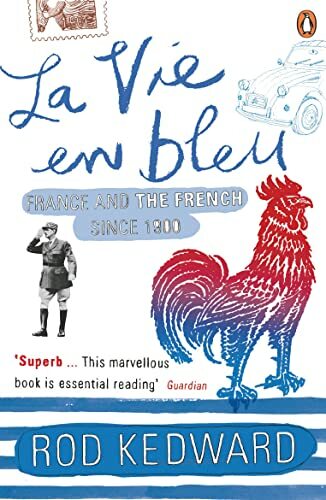 La Vie en Bleu is a history of people and events that tells a multitude of stories, some impressive, some shameful and many that starkly divide the French among themselves. Rod Kedward is the author of two remarkable works on the French Resistance, In Search of the Maquis and Resistance in Vichy France as well as having written books on the Dreyfus Affair, fascism in western Europe and anarchism. He taught for many years at the University of Sussex, where he is now Emeritus Professor.